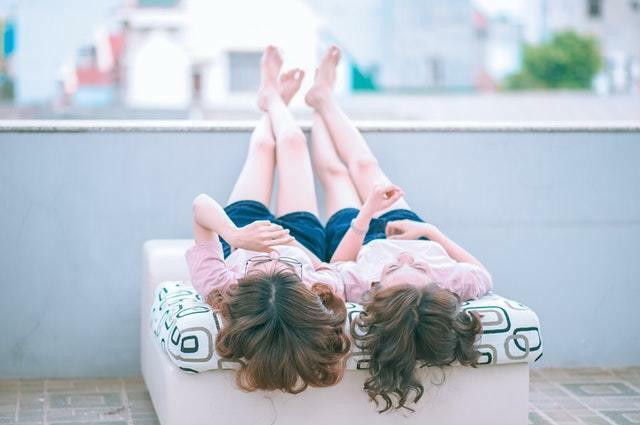 Twins and their inborn connection are endlessly fascinating to those of us who were born singletons. While they often have entirely different personalities, twins seem to have an almost telepathic bond that allows them to finish each other’s sentences and know what the other is thinking. This innate sameness is so strong that even identical twins seperated at birth end up reuniting later in life to find that their lives are strangely similar to each other. Can you imagine what it would be like to grow to middle age and discover that there is another person on this planet who has your genes and your physical features but is living a completely different life? Yes, there are dozens of cases of people growing up not knowing that they have a twin and finding each other as adults. Some of these twins were separated by tragedy or given up for adoption. Others, sadly, were purposefully separated in the name of science. Jim Lewis and Jim Springer didn’t know about each other until they were 39 years old, but they were so similar in so many ways that they amazed and baffled researchers. Lewis and Springer grew up about 40 miles away from each other in Ohio. Amazingly, both of their adoptive families named them James. Aside from that, there were so many other eerie similarities that the two were practically living the same life. Not everything about Springer and Lewis was the same. Still, there were so many coincidental similarities in their lives that it inspired a psychologist to begin the Minnesota Study of Twins Reared Apart or MISTRA, a 20-year research project into the influences of genetics and environment on the development of psychological traits. Paula Bernstein and Elyse Schein didn’t know they were twins — and didn’t lay eyes on each other — until 2004 when they were 35 years old. The two were born in New York City to a mother who was mentally ill and gave them up for adoption. Both of the women were adopted as babies and grew up with loving families. According to NPR, it was only after Elyse got in touch with the adoption agency to learn more about her birth mother that she discovered she had a twin. In a shocking twist, she and Paula later learned that they had been part of a secret study in the 1960s that involved identical twins being separated at birth or in infancy. The purpose of the research project was to determine what makes us who we are: our genes or our environment. The “nature vs. nurture” study was conducted by a respected child psychiatrist who had been working with adoption agencies to make sure that twins were sent away with different families. 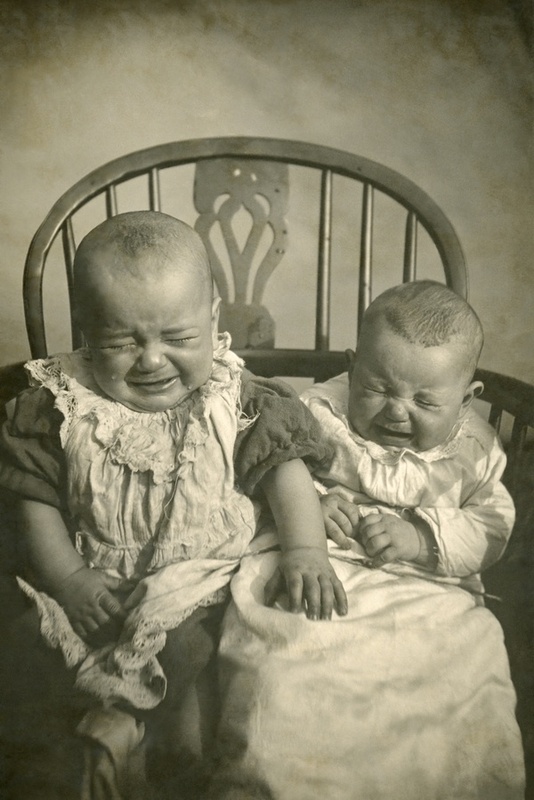 Later on, when New York began preventing adoption agencies from separating twins, the psychologist decided not to publish the results of the study and made sure the data would be sealed at Yale University until 2066. Paula and Elyse wrote a memoir titled Identical Strangers. They wanted to speak with the man who led the study, and when he eventually consented, he didn’t offer an apology for separating them as infants. Amanda and Katey were born in Korea, were separated at birth, grew up separately in the United States, and were reunited after 33 years — thanks to a popular genetic testing company. According to the Daily Mail, the twins both had rough starts. Amanda was reportedly found attached to a pole in a street vendor’s home while Katey was placed in a basket and left on the steps of an orphanage. The two were eventually adopted by different families but coincidentally ended up in the United States. When Amanda’s family, who lived in Arizona, came for her, they were informed that she had a twin but that the twin had already been taken by her own adoptive family. In 2013, knowing that she had a sister somewhere out there, Amanda decided to take a DNA test from the personal genomics company 23andMe. Through the service, she discovered a distant cousin, but no twin sister. Incredibly, Katey, who grew up in California and had no idea that she has a twin sister, decided to take the same genetic test in 2017. She was shocked when the results showed a 100% DNA match with Amanda, who the service identified as her identical twin sister. Ann and Elizabeth almost went their entire lives without ever laying eyes on each other. It wasn’t until 2014, when they were 78 years old, that Hunt and Hammel, who had been separated at birth, met for the first time. The twins were born in 1936 in Aldershot, the United Kingdom to Alice Lamb. She had reportedly planned on giving up both of her daughters for adoption. But because Elizabeth was born with a curvature of the spine, it was thought that it would be hard to find a family who would adopt her. Elizabeth grew up with her birth mother and had always known that she had a twin and had attempted to search for Ann for many years. Meanwhile, Ann, who had grown up with her adoptive family, was unaware that she was a twin. She only found out in 2013, after her daughter, Samantha, who was interested in family trees, became intent on learning more about her mum’s blood relatives. When Elizabeth and Ann met in person for the first time, they set a Guinness World Record for the longest separated twins. It can be interesting to know that fate sometimes intervenes and can make it so that identical twins seperated at birth find each other again in the future. Sometimes it’s a sad reunion, but most times, it is a happy day for both twins and their families.